When my grandfather started farming in the late 30’s, he had a sharp mind and some land his uncle had helped him buy in Lamberton, Minnesota, twenty minutes west of Springfield. That was pretty much it. Looking back, I don’t know if farming was his first choice of profession; as far as I can tell from family stories, the main reason he started farming was because the family business in Springfield couldn’t feed all the mouths associated with it, and my grandfather was the one to go. The only reason my grandfather was able to start farming was that the Great Depression broke a lot of people and made land cheap. Of course, our politicians responded to the Depression in many ways, including the first Farm Bill – known as the Agricultural Adjustment Act of 1933. It had two purposes: both to prop up agricultural markets by limiting supply (market prices were so low some farmers would burn their corn instead of coal) and to simultaneously keep farmers (who made up 21% of the American population) on the land and out of cities in search of jobs. Even so, the Farm Bill wasn’t enough to save whoever was on the little farm in Lamberton that ended up becoming my grandfather’s. In 1938, the Federal Government decided to make the Farm Bill permanent, and from 1938 to 2008, there has been a Farm Bill, officially titled something slightly different, renewed every five years. Depending on the broader goals of the country, the bill has always had a slightly different flavor. For example, during the Cold War Era, the government incentivized on-farm grain storage as a means of protection against nuclear attack. The goal was to have as much food as possible spread out across the nation. On my family farm, my grandpa took full advantage of the program. He could get a payment from the government for each year he stored a bushel of grain on the farm beyond harvest; these payments would run for up to four years, and then at the end of that time, he could still sell his grain on the market. So what my grandpa did was to wait for high markets to sell, but until that time came, every nook and cranny of our farm was stuffed with grain – all on the government’s paycheck of course. 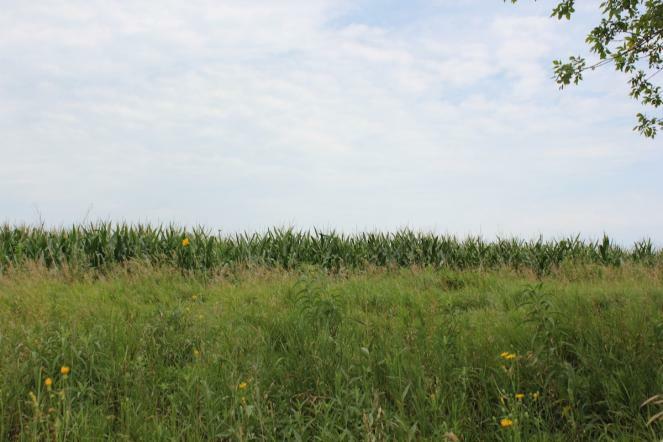 The rise of the Conservation Reserve Program (CRP) took a lot of acres out of crop production and placed them in restored prairies with the hopes of decreasing soil erosion and increasing water quality and biodiversity. Fast-forward a generation though, and our farm was singing a different song. The 80’s were a challenging time for our farm, and everyone else’s. After a boom in prices through the 70’s, when farmers were told to plant fencerow-to-fencerow, the value of crops plummeted in the 80’s. Both people and banks – feeling good because of the strong markets – had over-extended themselves. Land prices soared with all of the “cheap” loans, and then it all went south. My uncle was trying his hand at hogs on top of the farm’s usual row crops – the first time livestock had been on the farm since the 60’s. But now that state-of-the-art confined hog operation sits empty on his homestead, not unlike the widespread empty subdivisions during the housing crisis. The only reason our family farm survived that difficult stretch was because of the sharp minded, frugal savings of my grandfather during the times of plenty. My dad said once, “Grandpa cash flowed the 80’s,” and it wasn’t because my grandfather was rich; it was because he had always lived like the Depression never ended, and saved the extras, content with little. From the 30’s to the 90’s, our farm grew from supporting two mouths to supporting sixteen mouths. I try to be sober-minded when I say this, though, knowing that every time our farm got larger to support a new Runck, someone else’s farm got smaller or became non-existent. A few major developments in the history of United States agriculture occurred in the mid-80’s and 90’s. In 1985, the government instituted the Conservation Reserve Program, leading to unprecedented acreage being put into conservation. 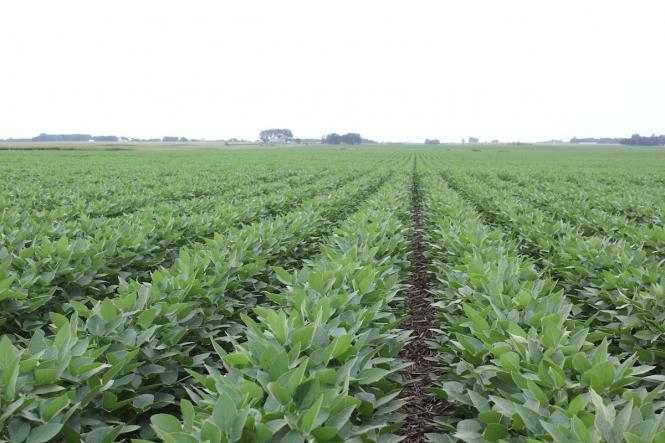 In 1996, herbicide resistant soybeans appeared on the market, no-tillage farming systems were catching on, and the Farm Bill went through a major structural change from subsidizing farmland and government grain purchases to making farm incomes fully controlled by the free market. Instead, the government would subsidize insurance. Our farm felt all of these changes substantially, and in varied ways. More recently, the last five years have offered agriculture a narrative of plenty. While the first Farm Bill responded to the economic disparity of the Great Depression, the 2008 Farm Bill, in spite of the Great Recession, spurred a boom in agricultural markets by incentivizing corn ethanol production. The political goal was to garner support from Democrats looking for what were thought to be sustainable energy sources that could mitigate climate change, and Republicans looking to subsidize their constituents’ corn markets. The 2008 Farm Bill was a phenomenal success politically, and for corn and soybean farmers – markets for those grains hit all time highs. But in retrospect, many have partially attributed the global food crises during the same time to the same piece of legislation. 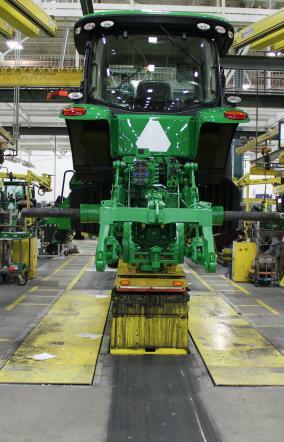 One of the perks of new machinery is being able to go and watch it be built in the factory.For our farm, the price boom meant we could update forty-year-old machinery and begin storing up surpluses for the next set of hard times. The same went for our neighbors: in a matter of five years, all of our neighbors’ farms went from all old equipment to all-new equipment. Additionally, for some farmers, the money went to expansion; with the Farm Bill’s shift in focus from market supports to subsidized insurance, expansion has less risk even if a farmer gets far behind for harvest or planting. There’s a saying in farming families: we farm the government. Nothing illegal; nothing dishonest – just the truth of it. Our farm, and our new absentee neighbor’s farm, while private enterprises, rely on the goodwill of society to weather the droughts of rain and market. But there’s a big question here: How much societal goodwill is needed for farmers? And what should that goodwill look like? Direct payments? Subsidized insurance? Conservation payments? It’s all on the table for debate, and I don’t know that I know what’s “best” (or if there even is such a thing). This debate is currently raging on Capitol Hill. Two months ago, the United States House of Representatives passed a Farm Bill without the Supplemental Nutrition Assistance Program (SNAP) – a historically unprecedented action for a piece of legislation that has included food assistance since John F. Kennedy. The most recent debates between the Senate and House show a disagreement of roughly four or so billion dollars in what to do with the program. It’s unclear as to what the final version of the legislation will look like. The Farm Bill provides us a twisty, windy story, and I need your help telling it. My family has been impacted in incredible ways by this single piece of legislation, but I fully acknowledge the narrowness of my own perspective. So I hope you’ll join me in telling the story by sharing your own connections and stories with the Farm Bill and food through the above Google Map, in the comments, and on Twitter (#sgtFarmBill). I look forward to hearing from you. 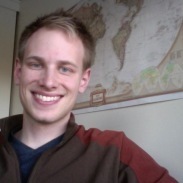 Bryan Runck is a graduate student at the University of Minnesota studying food systems. He’s particularly interested in studying how agricultural sustainability changes with context. He currently lives in St. Paul with his lovely wife and a fluffy cat. This is his first article for SGT.